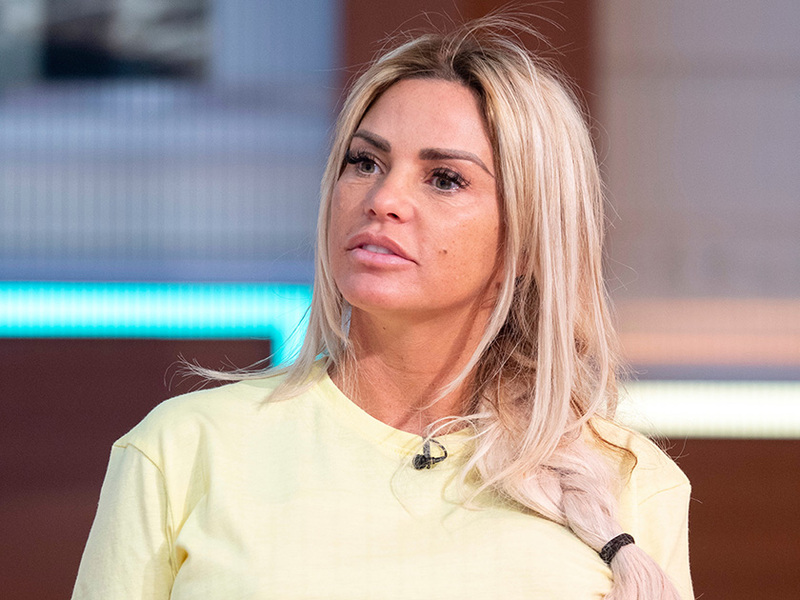 Katie Price hit the headlines last year when she gave fans a peek inside her ‘messy mansion’ on an episode of Keith Lemon’s Through The Keyhole. While the former glamour model is the proud owner of a plush £2 million Sussex mansion, some fans were less than impressed to see a messy wardrobe, dirty swimming pool and even some horse poo in the front garden. But after renovating her family home just a few months ago, now 40-year-old KP has revealed she’s got herself into a bit of a mess once again. Taking to Instagram, the mum-of-five showed her followers some of the products she likes to use. 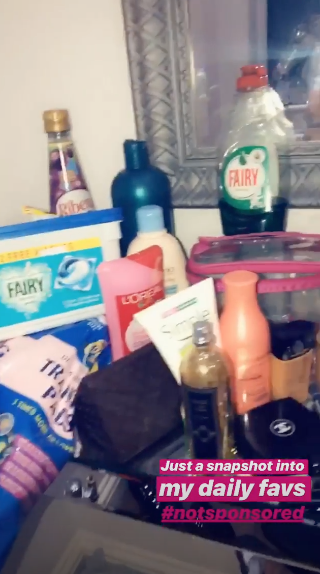 Panning the camera along a sideboard, everything from make-up to washing up liquid can be seen piled high. ‘Hey guys, it’s Sunday night and I’m having a clean out but I thought I’d let you know some of the products I use,’ she can be heard saying in the background. 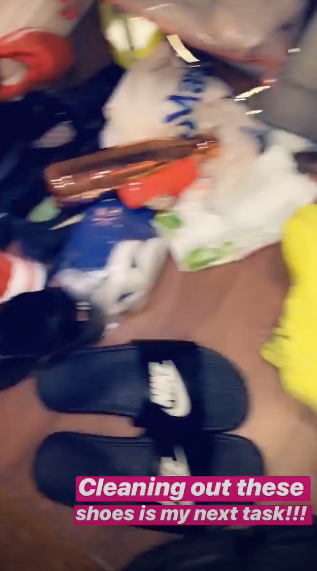 As well as perfumes, eyelashes and books, the telly star also shows off a massive collection of clothes and shoes strewn on the floor before focussing on her son Harvey’s new iPad and her favourite hairdryer resting on the stairs. Meanwhile, after a hard day of clearing up her home, KP relaxed with her nearest and dearest as she later shared a sweet family snap on Instagram. Chilling with boyfriend Kris Boyson, daughter Princess, 11, and some other pals, the gang could be seen watching TV on Pricey’s sofa. AW! This comes after KP also opened the doors to her ‘messy’ house during an episode of her reality show My Crazy Life where she admitted things had got on top of her. The telly star – who broke up with third husband Kieran Hayler and faced a driving charge last year – admitted at the time: ‘With the traumatic events I’ve had over the summer, I’ve just let things go. And the poor Pricey mansion is one of them. However, just a few months ago, the former Loose Women star showed off the results of her newly decorated home which featured sparkly silver walls and huge glittering chandeliers.